This summer I ran my first night run and I LOVED it! It was awesome! 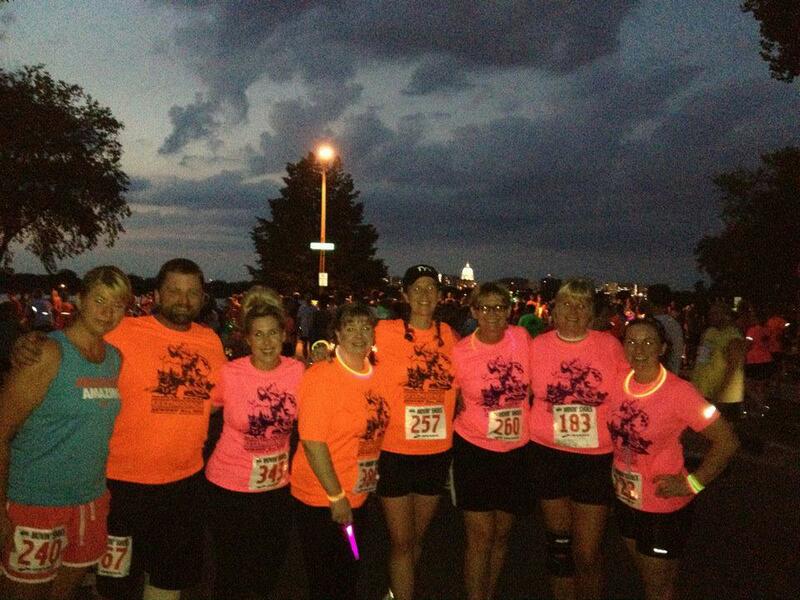 Early registration was only $20, the t-shirts were awesome and I loved how strong I felt running in the dark. I had many friends also running the race so it was fun to meet up before and after! 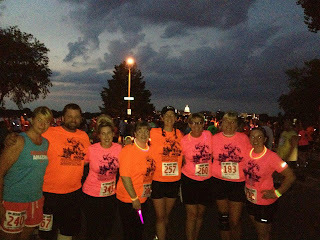 We added some flashing bling to our race bibs pre-race and afterwards cooled down with a little dancing. Most athletes wore glo-sticks or wore headlamps or flashlights. They also had volunteers at corners along the course shining lights on the curb etc. The moon was full and glorious and I felt perfectly safe running. We stopped at the post-race awards ceremony and had some of the best race food I've ever had! Trader Joe's and Qdoba are race sponsors. YUM! - Have you raced at night? What did you think? - What's the best post-race food you've eaten?